I loved this book. Thank you for the great review! It prompts me to read this great book again! Some books are truly worth re-reading! This is surely one of them! Thanks for re-blogging my post. Very kind! You are most welcome! Yes, Watership Down is a definite re-read! Thanks for sharing. My name is Charles Blanchard. I have been a fan of Richard Adams for many years. His work inspired me to write my own animal themed novel, Kingdom’s End, an adventure story set in an urban landscape where the main characters are rodents. The main setting is an abandoned motion picture palace from the 1920s that has been closed for thirty years and is set for demolition. It is here where the rats in the story make their massive colony and fight to protect it. Hi, I just read your post and I admire your enthusiasm for Watership Down. I really liked the insights and quotes from the author your provided from the introduction to the 2005 edition. This book has been among my favorites since a high school teacher first recommended it to me several years ago. Currently I’m working on comparing Watership down to Alice and Wonderland, and I’ve found several comparisons between the two and they’re a lot more similar than I would have thought. In addition to literary comparisons, I’m doing biographical comparisons between the authors. However, I don’t know how to tie the two parts together to make it an interesting topic. I’m thinking about arguing that the similarities between the two authors is responsible for the similarites of their writing, but I don’t know if it’s strong enough. Do you have an suggestions for an angle I could take, or an interesting way to tie biographical comparisons with literary comparisions? I would appreciate any feedback, or ideas you may have. Thanks for writing your blog. I’m excited to see what new discoveries I can make here. 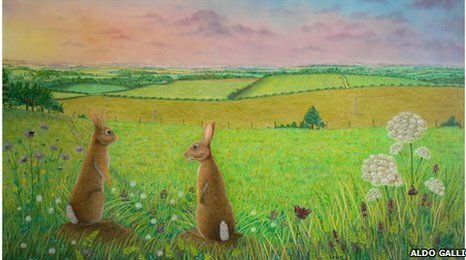 Thanks for your kind comments about my blog and the Watership Down post. I am intrigued by your work on comparing the book with Alice in Wonderland and investigating the common themes of the authors’ lives. I know next to nothing about Lewis Carroll, so I can’t help at all there! 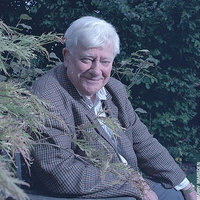 Richard Adams, however, has given many interviews and, of course, there is his autobiography for research sources. Please check back in to let me know about your progress! Okay, I guess 40+ years later I’m finally going to have to read this book! I just couldn’t get into the rabbits back then, but I’ll try it now and let you know what I think. If you get the illustrated edition, let me know what you think of it. I HOPE you will love it on your second attempt!